Its only natural, given the current state of affairs, that I promise to finish writing this post before ushering this New Year in and watch myself fail miserably. For the delay, I beg your pardon and show the middle finger to the judgmental ones among you all the same. Christmas is long over and a change is in the air. Scientifically speaking, the day is getting longer than the night, which is a bad thing to happen to people like me! No, I'm not an Orc. Just an insomniac blogger with a self-proclamatory good taste in music. Well, where am I going with this anyway? Oh yes, change. The whole second half of last year was about welcoming 'change' and adapting to it. Lets start with a change in the playlist, shall we? 'Daughters' by John Mayer, now! The second half of last year, was always the one that I didn't ever want to come. So much so that I started writing this post innumerable times before, but only got tangled within the thoughts and memories of yesteryear. It was graduation time in August, and thus a farewell. A farewell to the greatest period in my life - where I found myself, found love, found principles, found peers, found passion, found new kind of people, new kind of geography, new kind of racism, new kind of humour, new kind of camaraderie and most importantly, found friends and family. Five years was all it took to find intricate nuances of my very being. 1) Neither do I dance, nor do I drink like a sea captain. 2) And that we were two lonely bachelors at a club. I think everybody half-expected us to hold each other's hands at the dance floor or something.. But, we did find company that night - alumni from my own university - engineers, or shall I just say eye-candies of whichever companies they are working for! The ladies, who easily out-numbered us, drank like whales and puked liked sick dogs. That only asserted my theory of 'Always go to a cafe instead of a bar!' There's no shame in admitting that you're a patron of teetotalism to the world. I think only the ebb and flow of Beethoven's '7th Symphony A Major Allegro op 92' could possibly do some justice to what I was feeling back then. 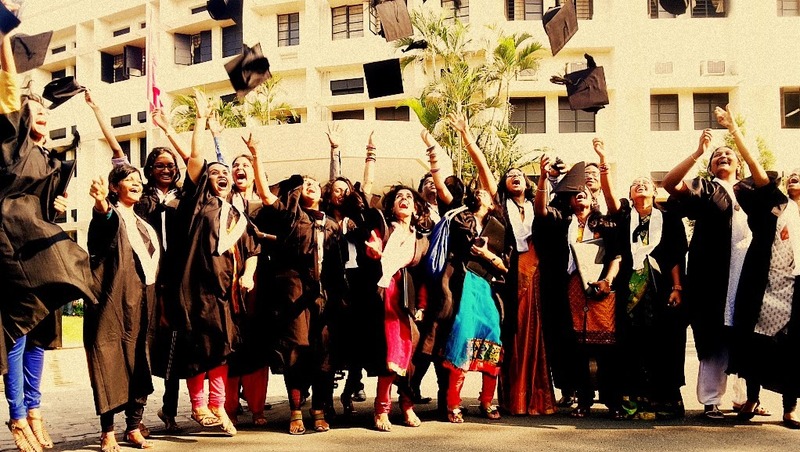 After the graduation ceremony, we decidedly had a uplifting farewell -making merry, confessing disappointments and fool around generally in the rooms of the Mount Paradise Hotel in that last night in Vellore. My sister had come along and to my surprise, she fit right in among my batchmates. Also, it also meant that everybody had to be nice to me that day, something I really relished. But you'd do some genuine justice to my moods, by putting 'Slow Dancing In A Burning Room' by John Mayer on the music player, now. With Swathi, Arjun and Noelle out of the country, this was a different goodbye where some of the guys had already started on their new jobs (some like it, many don't) while some of them waited out for opportunities of higher studies. Rupsa joined the Indian Institute of Science in Bangalore for her PhD in Neuroscience, and that also meant that I was now on my own in Kolkata. A sad prospect, very sad indeed. But then I always had 2 of my absentee school friends in the city, and Mohor right in my neighbourhood. So, with a sigh of relief, I told myself that its going to be alright. And so it did. 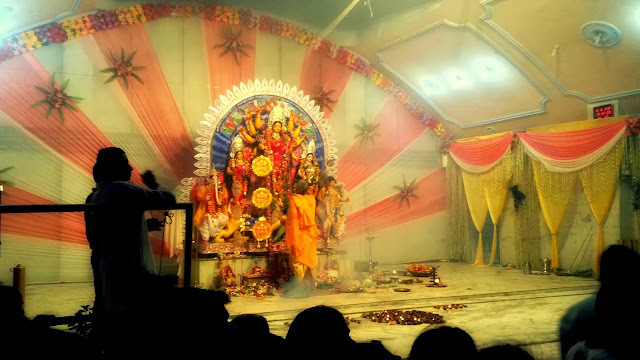 I went to my hometown Jhansi for the Durga Puja celebrations after 6 years. Met all my cousins after a long absence. It was a homely affair - albeit a huge one, as it is one of the oldest pujas in the country! It was sad to see most of the oldest members missing, as time has claimed them at some time or the other in the last few years. Even we seem to have all grown up - what used to be fun in our childhood wasn't fun anymore. Just like the one who used to be friends with us when we were kids, wasn't a friend anymore. Meanwhile back in Kolkata, I joined a lab in the Biochemistry department at the University of Calcutta, working on the area of 'Cell cycle and MAPK pathway' ..alright, stop snoring already! Although I intended to work there for a fairly long time, some recent developments have brought a halt to the whole thing. Much on that in the later part of this post. Last year also marked my meeting Tanushree after a whopping long time of 10 years. She used to be one of my very close friends from childhood. 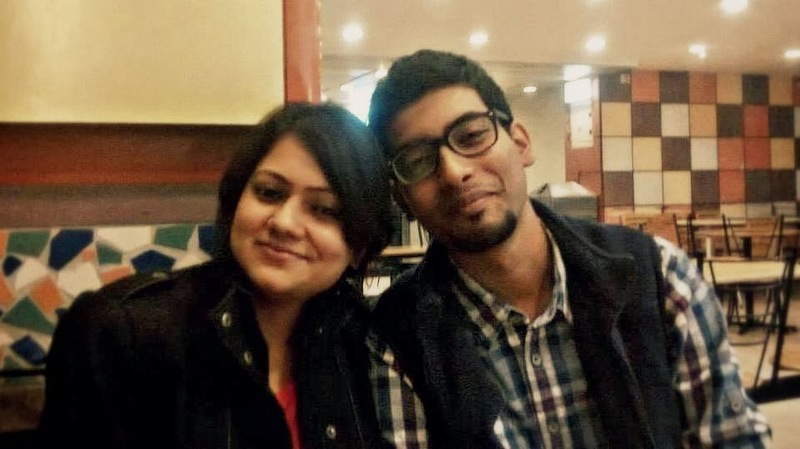 She's based in Delhi, studying at DU and has turned out to be a lot opposite to what I have turned out to be - she's pretty while I'm an ogre look-alike, she's fun to hang out with while I'm quite boring, she has a tummy that she so efficiently hides (I'm so dead) while I cannot harbor such ambitions, she identifies brands at one look ('that's a Jimmy Choo!') while I stare for a while and say 'Chandni? Palika? Fashion street?' - you do get the flow. 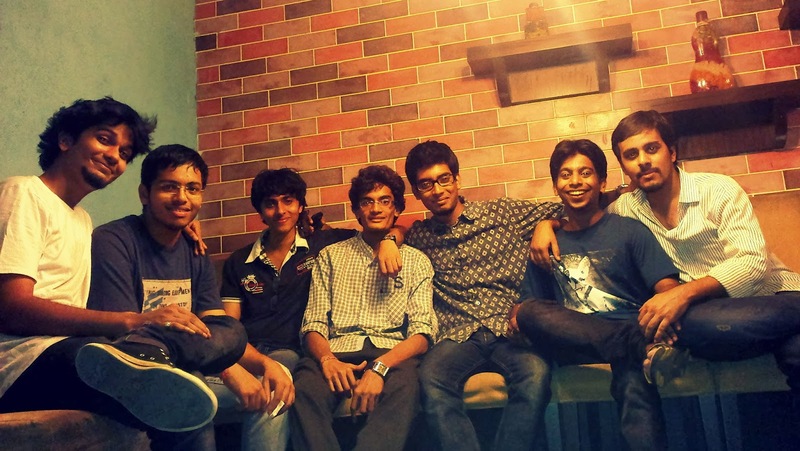 Anyhow, it was wonderful to meet my childhood friends after a long time. For a guy like me who has had a marginally nomadic childhood, there are only enough of lost opportunities. Play Coldplay's 'Fix You' now. A little early to play, yes. But this way we'll get the crescendo right where I want it to be. The rest of the year was boring, as it usually is without much of my friends being here. I took interest in the politics of the nation instead - the Aam Aadmi Party taking up mantle in the election for the Delhi constituency. Suddenly, news became more thrilling than a movie and Times Now's Arnab Goswami became more irritating than the commercials on the radio! CNN-IBN's Rajdeep Sardesai turned out to be a better and a more objective newsreader in that sense. 2013 also was marked by deaths and losses. It started with Shakuntala Devi - the one who is solely responsible for my admission in that mediaval school (the mathematics paper in their admission exam being totally crazy!) Thanks to Shakuntala Devi's book 'Fun with Numbers', I could barely pass. I was absolutely devasted at Rituparno Ghosh's untimely death - a true genius lost. For me, his best movie will always be 'Abohoman'. Then died Jiah Khan, much to everybody's curiosity (as RGV tried to re-release his Aag!). Everybody cried when legends Pran, Manna Dey and Farooq Sheikh passed away. Manna Dey was so loved, and grieved by everyone that every single Kali puja pandal in Kolkata played only his songs. Lungi Dance was certainly not missed that night. It was a year of mixed emotions. I dunno whether I'd like to live through it again or let it rest in memories. All I know is this - the build-up was fantastic. It was a year that proved to me that hard work and complete faith upon oneself and on one's friends and family (and certainly not religion!) can be a very good way to live by. I took a long time to write this blog because I got very unsettled by the end of 2013 and the hangover continues early this year too. The unsettling news was that I had applied for a couple of doctoral programs in certain universities abroad. In the field of Cell and Molecular Biology. And I got accepted early, on full scholarship! Have a brilliantly Happy New Year folks! Mine has just started.